We are pleased to announce that a three year project of caring and cataloguing our photographs has been completed. 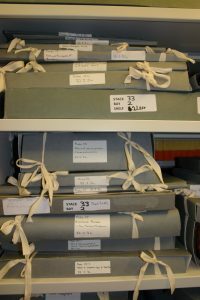 Nearly all the photographs within our Collections have been appropriately packaged and catalogued (except for two specific collections we are saving for individual intern/volunteer projects). 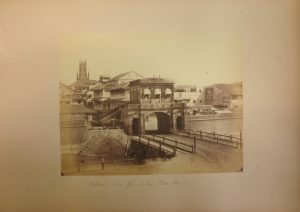 The project began in 2016 when Ruby Rees-Sheridan, our first placement student from the University of Sussex MA in Art History and Museum Curating, undertook an audit of our photograph collections and began the process of making sure they were housed in photographic quality material with bespoke boxes to prevent shift of photographs when they are removed from the shelves. Since Ruby, we have had two further students from Sussex, Carly Bishop in 2017 and Laura Morris-Kingham in 2018, who have both continued with the project alongside some volunteers helping and both Edward Weech, the Librarian, and myself, as Archivist, working together to ensure the completion of this project. Last month the last few small collections were packaged and catalogued by Edward and myself and placed with the others in the strong room. All those who have worked on the project have had to learn how to clean photographic mounts, make four-flap folders and bespoke individual boxes, as well as how to write appropriate descriptions for the catalogue. 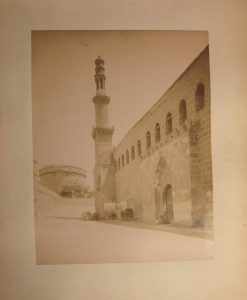 Some of the photographs were highlighted in last week’s blog on South Yemen. 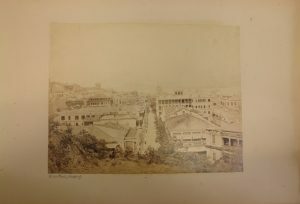 You can also find information about other catalogues on our Photographic Collections webpage which has links to other pages provided by our three Sussex students and by one of our SOAS Alphawood Scholarship Interns. These pages highlight individual collections. But it would be impossible to write a blog about photographs without giving you a taste of some of the wide variety of images that we hold. Moving into 2019, we hope to procure a scanner so that some of these images can be digitised and also to work with our glass slides. 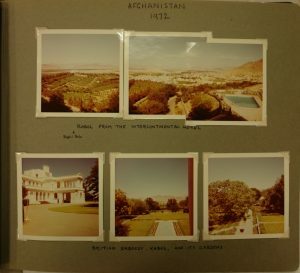 Many of the slides have been conserved and are in the correct packaging but so far only one collection has been catalogued – those of China, whose care and cataloguing was undertaken by volunteer Amy Mathewson, whilst a PhD student at SOAS. In other news, next week the Society will be hosting two lectures. 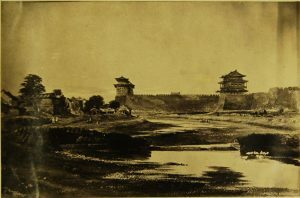 On Tuesday 11th December Professor Ian Gow (University of Edinburgh) will speak on “The Scottish Sinologist Alexander Wylie (1815-1887): Missionary, Man of Letters and Mathematician” and on Thursday 13th December, Dr Alexandra Green will lecture on “Sir Stamford Raffles: Civilised Views of Java”. Both lectures will be at 6.30 and more information can be found on the Events Calendar on the website. We look forward to welcoming you to these events.